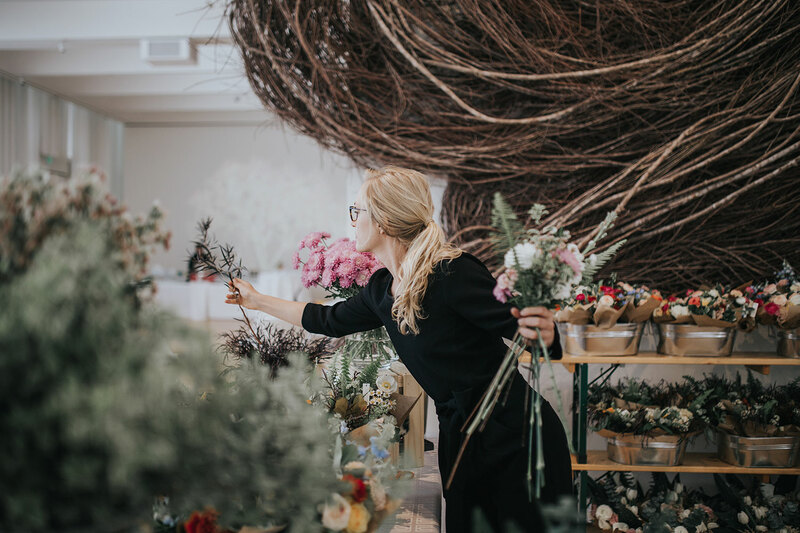 For the last two years, the North Carolina Museum of Art has put on an amazing event celebrating the beauty of flowers and the art of floral design, called Art in Bloom. 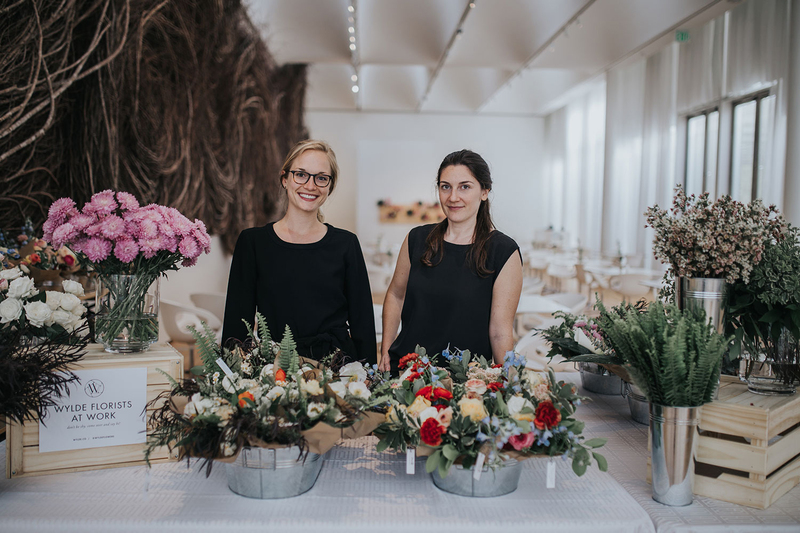 It’s a four day event that showcases local florists and their interpretations of famous works in the NCMA’s permanent collection. Although I didn’t have a piece in the exhibit this year, I did get a chance to work with PNC (a large sponsor of the event) to provide bouquets for their opening reception. 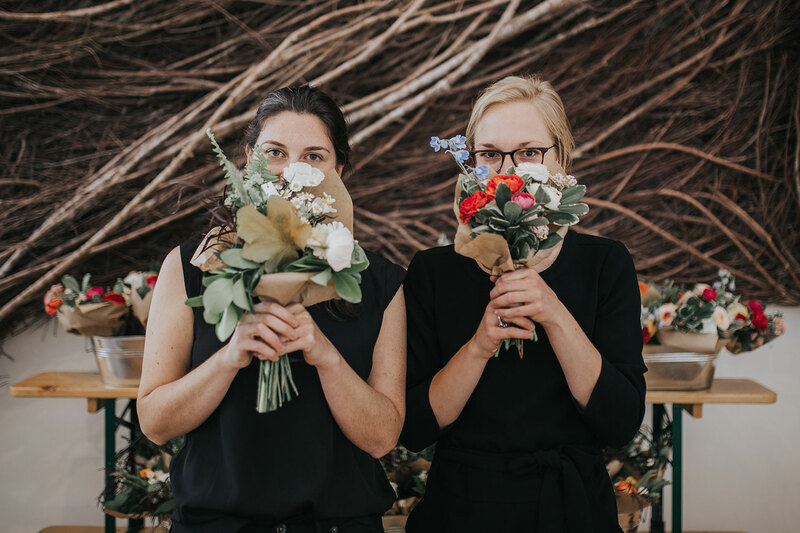 With the help of my girl gang, Hannah Ross and MC Floyd, we put together 150 bouquets within 24 hours. 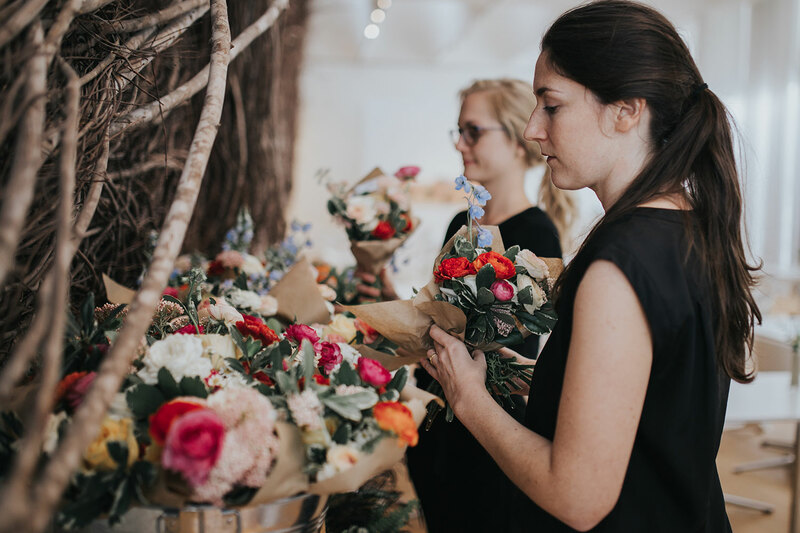 We offered three different bouquets, each inspired by a different part of the museum. 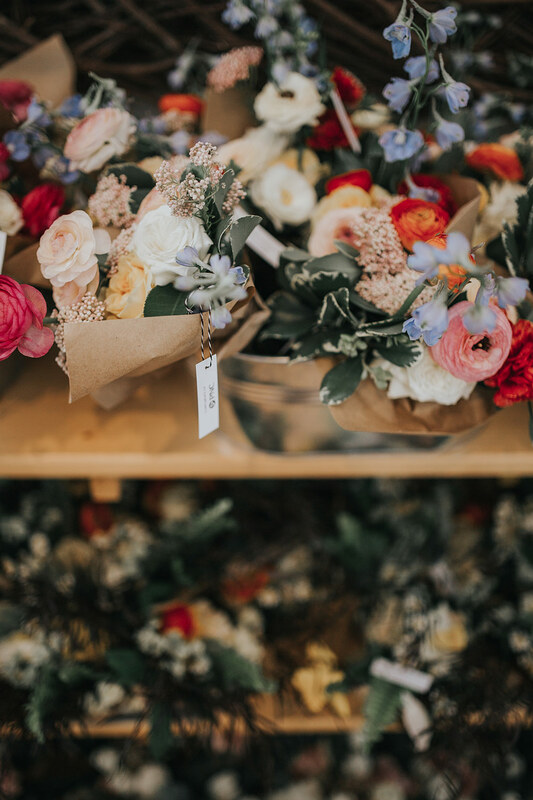 The Impressionist bouquet featured soft pastel colors mixed with pops of bright blooms, and was inspired by the likes of Monet and Boudin. 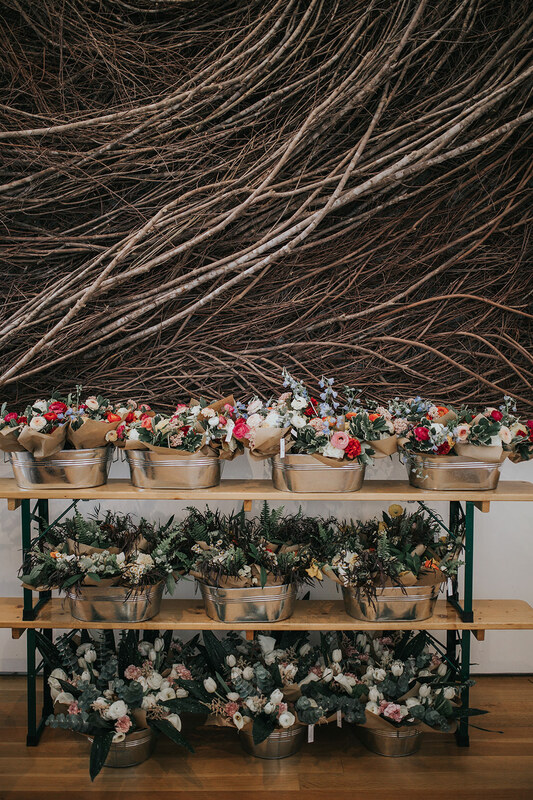 The Sculpture Park bouquet was inspired by the grounds surrounding the museum and featured natural grasses, ferns, and other wildflowers. 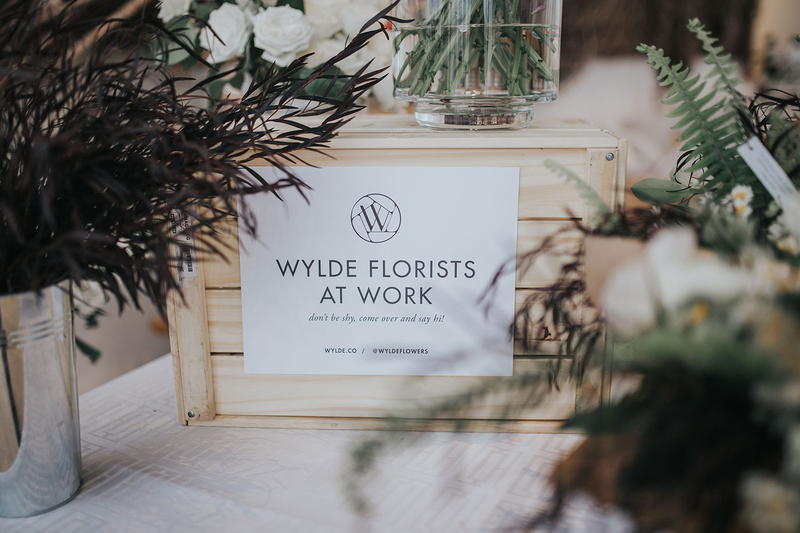 The Modernist bouquet was made up of calla lilies and other graphic flowers and foliage and was inspired by the likes of Georgia O’Keeffe and Robert Motherwell.